Even the most skilled product designers and engineers are only as good as the product design/development tools they use. As PCB designs become more complex and challenging, and as designers and engineers need more advanced methods of simulation and schematic capture, product designers and engineers need tools and software that can keep up with the demands of the industry. We understand the challenges of finding the right tool for the right project and budget, so we have scoured the web for the top 50 product design/development tools. To make our list, the tools must have a reputation for being user friendly, powerful, and feature-rich. We also realize that some tools can bog down the design process with too many bells and whistles, so our list of 50 covers the simple to the most robust and complex tools, and a cost range from free to thousands of dollars, to ensure that at least one of the tools will fit your product design and development needs. As always, please note that we have listed our top 50 product design/development tools in no particular order. A free online schematic drawing tool, Scheme-it includes nearly everything a design engineer needs, including schematic symbols, system blocks, and more. Scheme-it is an easy to use tool that is risk free. If you’re looking for an online in-browser schematic capture and circuit simulation tool, Circuit Lab is one to consider. Anyone from students and hobbyists to professional engineers can use CircuitLab to design, share, and discuss their designs and then analyze analog and digital systems before building prototypes. An IDE for microcontrollers and electronics, KTechLab is a tool available for download from Sourceforge. KTechLab is rated 4.8 stars and is known for being easy to use. KiCad EDA Software Suite is a product design tool for creating professional schematics and printed circuit boards. Product design engineers choose KiCad EDA Software Suite for projects up to 32 copper layers with additional technical layers. Previously Oscad, FreeEDA is an open source EDA tool that is integrating using open source software such as KiCad, Ngspice, and Scilab. 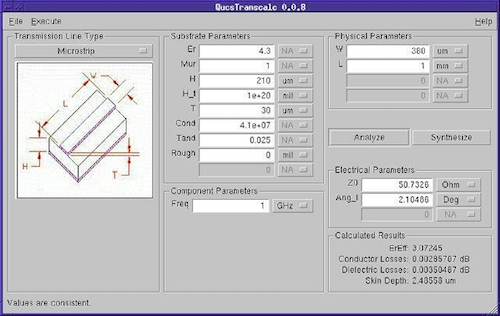 For circuit design, simulation, analysis, and PCB design, FreeEDA is a free alternative to expensive licensed software. 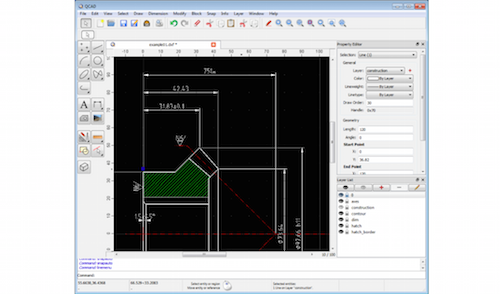 TinyCAD is a design tool for schematic drawing. Use TinyCAD for one-line diagrams, block diagrams, and presentation drawings. TinyCAD has been downloaded thousands of times from SourceForge and is rated 4.9 stars. Rather than a single tool, Schematics.com is a resource of several tools for engineers who want to “design, share, and collaborate on circuit design online.” No matter the project size, Schematics.com has the tools for real-world productivity and collaboration. Circuit takes your electrical circuit schematic diagrams and related figures to the next level by producing them in publishable quality. What sets Circuit apart from other drawing programs and schematic capture programs is that maintains the integrity of the artistic expression in the circuit drawing, making it an incredibly useful tool for design engineers. Mentor Graphics wants to help design engineers reduce design cycles and drastically improve overall quality and resource efficiency with Xpedition Enterprise’s patented technologies. Described as “the industry’s most innovative PCB design flow, providing integration from system design definition to manufacturing execution,” Xpedition Enterprise is a robust PCB design software solution. 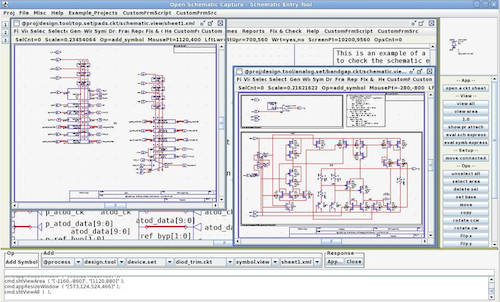 Open Schematic Capture (OSC) is a set of programs for creating and net listing schematics and completing the associated layout. Meant to be a production grade tool for designing and laying out mixed analog/digital integrated circuits, OSC is written in Java and uses Java Swing for the GUI. 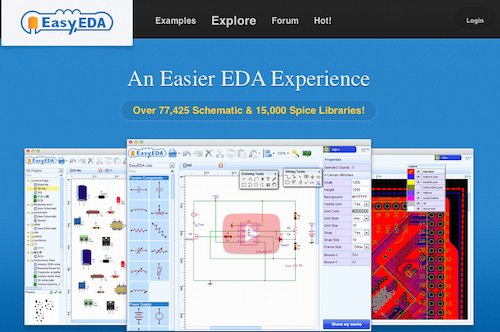 EasyEDA is a product design tool that is web-based EDA, schematic capture, spice circuit simulation, and PCB layout in one. With over 77,400 schematic and 15,000 Spice libraries, EasyEDA has everything a design engineer needs to complete a project. 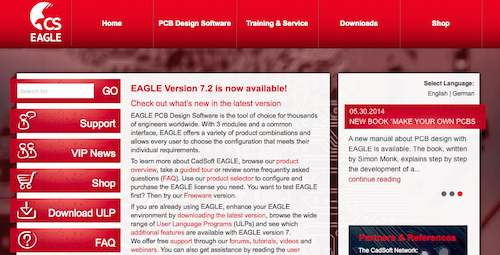 EAGLE PCB design software features three modules and a common interface. With a variety of product combinations and the ability for users to choose configurations that meet their requirements, EAGLE is the tool that thousands of engineers across the globe have chosen as their product design tool. Target 3001! is CAD/CAE software for PCB design that features one user interface for schematic, simulation, layout, autoroute, 3D view, and front panel design. Target3001! is made in Germany by IBF. A freeware program, ZenitPCB is a product design tool for anyone who wants to make PCBs or who wants to design his own PCB in a professional manner. Appropriate for hobbyists, students, academics, and professionals, ZenitPCB makes it possible to produce quality work without paying for expensive licenses. For Unix, Linux, Windows, and Mac systems, PCB is an interactive PCB editor. Design engineers choose PCB as their product design tool because it offers high-end features that significantly reduce layout time. FreePCB, a free, open source PCB editor for Windows, is easy to learn and use for anyone in the field of product design. Don’t let its ease of use fool you, though; FreePCB is more than able to handle professional-quality work. Altium recognizes that PCB design is only as good as the designer behind it. That’s why Altium Designer contains just the right mix of precision, usability, Native 3D, and collaboration so that designers and engineers can complete even the most complex PCB designs right the first time. 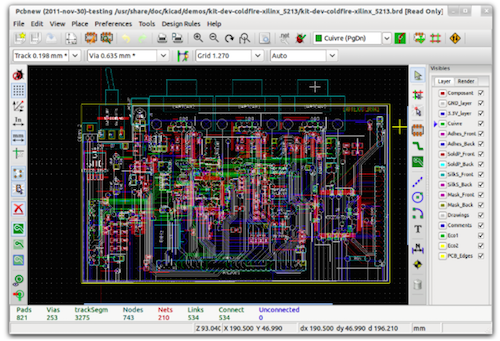 CR-5000 is Zuken’s advanced PCB design software. Seamlessly integrated tools, highly sophisticated functionality, and the ability to address design challenges make CR-5000 a premiere product design/development tool. OrCAD helps designers and engineers meet their product design and development goals with its scalable, robust PCB solution. Use the OrCAD platform every step of the way to get all of the benefits of its complete, integrated workflow. The PCB design and SPICE-based software from Visionics, EDWinXP is an integrated solution that is fast and easy to use. Go from schematic to fabrication in far less time and for far fewer dollars with this product design/development tool. Proteus Design Suite 8.2, the latest release of the Proteus Design Suite CAD Software, is the most integrated version released to date. With VSM Studio IDE, live net listing and shared database, 3D visualization, and more, Proteus Design Suite 8.2 is a much more complete product design/development tool than ever before. 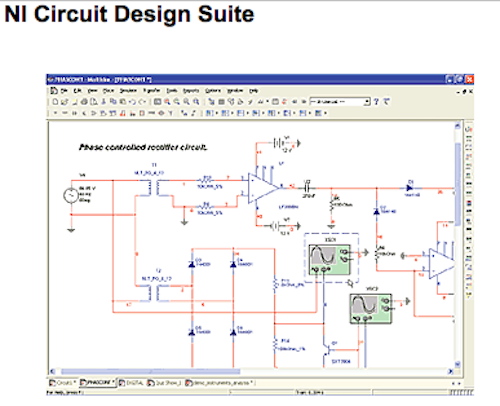 Available both online and offline, the TINA Design Suite is a circuit simulation and PCB design software package from DesignSoft. TINA is a popular product design/development tool for electrical engineers because it is easy to use, yet powerful. Get fast, intuitive schematic design entry for PCB development or analog simulation using Spice with Cadence Allegro Design Entry Capture/Capture CIS. A widely used product design tool, Allegro Design Entry Capture/Capture CIS supports the simplest to the most complex flat and hierarchical designs. 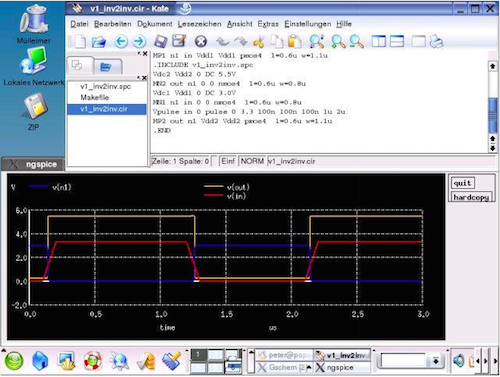 By combining NI Multisim and Ultiboard software, National Instruments created NI Circuit Design, “a complete circuit design, simulation, validation, and layout platform.” Rather than purchase individual software packages, consider NI Circuit Design Suite and get a comprehensive product design/development tool. DesignSpark PCB is specifically designed for rapid prototyping, so that users can transform circuit ideas into testable boards more quickly. A product design/development tool that encourages more design options, DesignSpark is known for being incredibly accessible electronics design software. Autodesk Product Design Suite is a product design/development tool for 3D product design, simulation, collaboration, and visualization tools. Streamline your engineering process with Product Design Suite from Autodesk. SOLIDWORKS solutions provide a seamless, integrated workflow, making it possible for designers and engineers to design, verify, communicate, and more while spanning multiple disciplines. Shorten the design cycle, increase productivity, and deliver innovative products to market with SOLIDWORKS solutions. One of the best-known product design/development tools on the market, AutoCAD allows designers to design and document seamlessly and easily. Document and detail work with productivity tools, share your work with TrustedDWG technology, connect your workflow, and more with AutoCAD. The LabVIEW Communications system Design Suite, from National Instruments, provides a design environment closely integrated with NI SDR hardware. This allows for rapid prototyping of communications systems and makes it easier for product designers and engineers to complete the product design/development process more quickly. 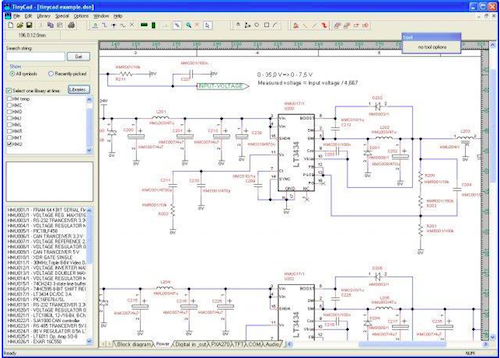 DipTrace is schematic and PCB design software with an intuitive interface and a broad range of capabilities. Library creation and 3D preview are just two of the features that make DipTrace a smart product design/development tool choice. 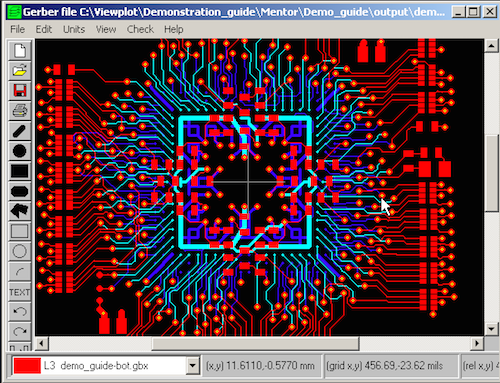 Topor, the topology editor and automatic router for PCB design, is EDA software from Eremex. Topor enables designers and engineers to handle today’s increasingly complex PCB design tasks. From Synopsys, a leader in EDA, Saber is a platform specifically “for modeling and simulating physical systems, enabling full-system virtual prototyping for applications in analog/power electronics, electric power generation/conversion/distribution and mechatronics.” Saber has been a top choice for design validation and optimization for various systems, including automotive, aerospace, and others. Keil offers embedded development tools for ARM and other processor families. Keil MDK Version 5 is the latest release geared toward ARM, Cortex-M, and Cortex-R based micro controller environments. Easy to learn and use, MDK is a complete solution for micro controller software development, and an important part of the product design/development process. Linear Technology offers a broad range of custom design simulation tools and device models. Their solutions are accessible enough that even novice designers are able to use them quickly and easily as product design/development tools. TannerEDA aims to drive productive design “with full flow solutions for analog mixed-signal ICs and MEMS.” TannerEDA solutions are effective alternatives to Cadence, Mentor Graphics, and Synopsys. HiPer Silicon is one of those alternatives. As TannerEDA’s full flow design suite, HiPer Silicon is a smart product design tool choice. Rated 5 stars by SourceForge users, Quite Universal Circuit Simulator (Qucs) has been downloaded thousands of times as a product design tool. Quakes supports all types of circuit simulation, including DC, AC, S-parameter, and Transient, among others. Ngspice improves upon the spice3f5 circuit simulator. The latest release, Ngspice-26, is more applicable and compatible than ever, earning it a 5-star rating on SourceForge after thousands of downloads. NI Ultiboard helps product designers and engineers rapidly prototype PCBs. The Ultiboard layout and routing environment of NI Ultiboard is flexible enough to make it a top choice in product design/development tools. 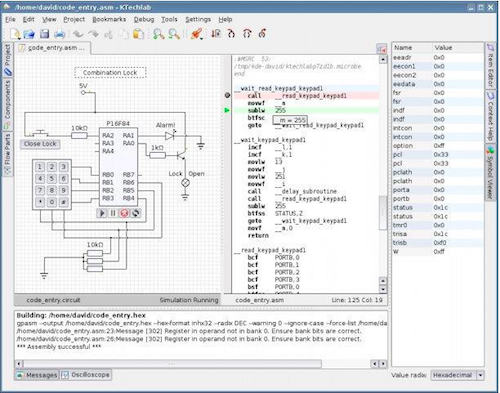 Open Circuit Design is a resource of multiple open-source EDA tools. All tools on the site are free for use and are comprehensive enough to compete with commercial tools. Check out Open Circuit Design for all of your product design/development tool needs before committing to purchasing a tool. 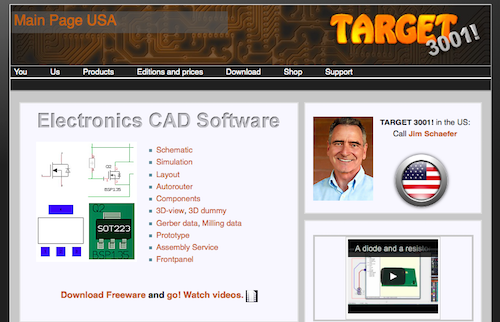 A circuit schematic and layout editor program, CometCAD is for Windows 2k, XP, Vista, and 7. 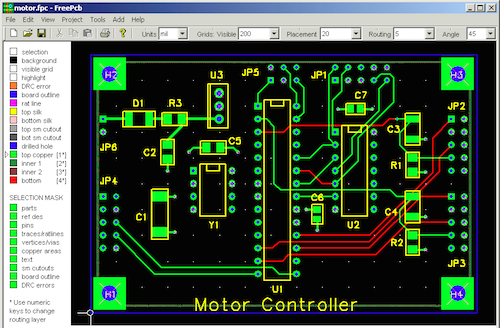 CometCAD consists of a circuit editor, layout (PCB) editor, and symbol editor, making it a complete product design tool. Osmond PCB is PCB design for Macintosh. Design boards of any size and shape with as many layers as you can imagine, using Osmond PCb. Osmond PCB’s flexible features make it an ideal product design tool. 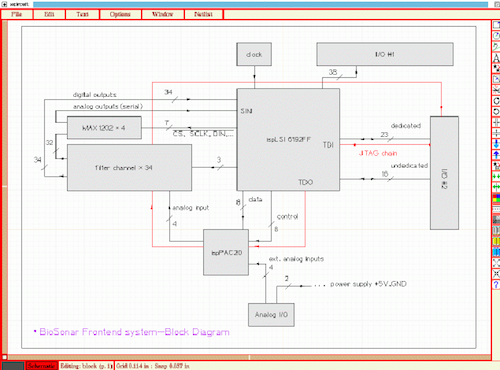 BSch3V, a schematic capture program for Windows Vista, 7, and 8, has basic functions yet enough software and data that it is a useful little product design tool. A free software package, BSch3V is more suited for hobbyists and novice product designers. 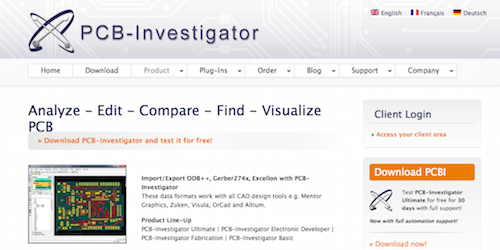 PCB-Investigator is a product design tool that allows users to analyze, edit, compare, find, and visualize PCB. With a robust list of features and functions, PCB-Investigator is a smart design tool for product designers and engineers. Product designers and engineers have their choice in multi-functional Gerber Viewers in the GerberLogix line from EasyLogix. Whether for commercial or non-commercial use, online or offline, there is a GerberLogix product design tool to fit your needs. Viewplot is a complete product design tool, as it is a Gerber viewer, editor, and converter in one. Speed the design process by translating your CAD data in seconds as a standalone tool or integrated within existing CAD processes, using Viewplot. QCAD is free, open source 2D CAD software for Windows, Mac, and Linux. Create technical drawings, such as mechanical parts or schematics and diagrams, using this product design tool. CADint PCB software is a product design tool that ensures directional back and forth between your schematic and PCB design to make sure you never create a bad design. 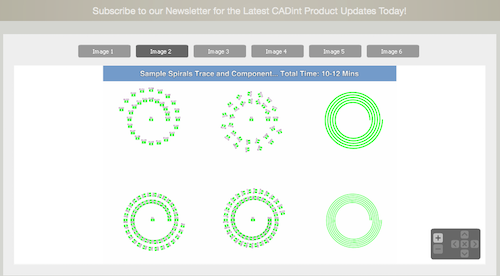 With virtually unlimited capabilities, CADint is a top choice in product design software. 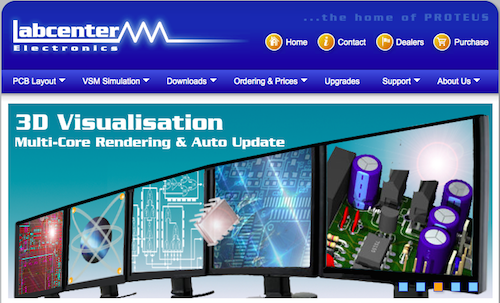 Pulsonix specializes in schematic capture and PCB design software. Its completely integrated schematic capture and PCB design editor makes Pulsonix a go-to product design tool for anyone who wants to get serious about designing immediately.